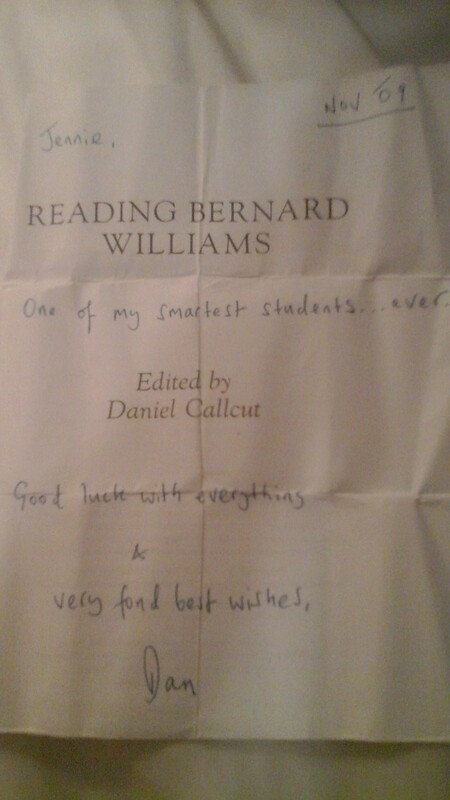 It’s hard to believe that it was six years ago that I was working on the book Reading Bernard Williams. I was privileged to edit some really great essays, and gain valuable experience in editing and writing. Although the editor, Dr. Daniel Callcut, was kind enough to give me a hard-copy, I bought the e version recently and read it. The copy that Dr. Callcut gave me had an inscription in it that I keep framed.